Amazing, every word of what you just said was wrong. The reaction to FA did nothing but make things worse for LJ. But just because it carries the moniker Star Wars, doesn't mean it automatically deserves my love. We hate it because of the lack of plot and poor character development, which is basically the only ways to judge a movie. It's like telling an awful musician you love his music because the notes he didn't play speak to you. RJ is not on my radar, to hate him would imply I cared one way or another. ROTJ was the last movie as far as I am concerned. RJ was a pawn, used to do what other directors wouldn't. He got paid, and thumbed his nose at the fans. He's not losing sleep over us. Why lose it over him. Did he write the script? We he Executive Producer? Was he hired to direct a movie, or create one from scratch? RJ is not on my radar, to hate him would imply I cared one way or another. ROTJ was the last movie as far as I am concerned. You do know your avatar comes from a movie after the last SW movie as far as you are concerned though? I think some Nuance is needed here. Do I think he should ever be allowed near another starwars movie again? No. So it is less about hate than just not wanting more bad movies. Personally I'm going to probably wait and see Ep 9 on red box or netflix because I have zero faith that Disney has addressed any of the issues that made the sequel trilogy bad. So I won't continue paying to see bad movies. Even if they have the statwars name on them. I do really believe that Disney should have fired Kathleen Kennedy and publicly distanced themselves from Rian Johnson by stating that he will not be getting a trilogy. Which btw, I won't pay to see if it happens. That isn't hate. Calling for firing and replacing people who do a poor job isn't hating, it is just wanting better people in charge so that the end product is better. Now, there are those on the internet that do spread hate. But that's the nature of the internet. But the man you're defending, has attacked fans on Twitter, calling them names, for simply pointing out how bad his movie was. That alone should warrant a statement from Disney stating that he is fired from any and all future projects. It is simply unacceptable to allow your employees to behave that way when they represent you. And as long as that is the way they behave, they don't need my money. So I think for this post to be worth discussing, we need to define what your calling hate. Are my opinions hateful? Or are you just talking about the really mean people on the internet? Yep, it's there to remind us. Lest we forget..
rian johnson is to starwars what kanye is to kanye. I think the current unrest and split in the fandom is like Android and iOs, Hipsters versus Nerds. Like when someone claims to be a long time Whovian and said they have watched since the beginning, with Chris E. It's like nails on a chalkboard to me. @GreedoShot2nd How are you defining hate? I think the Last Jedi is generally a piece of garbage. I blame Rian Johnson and Kathleen Kennedy for this. I will call out all the terrible decisions Rian Johnson made. Do I hate him? Problem with "The Mandalorian" is Mandalorians were spread out across the galaxy and peaceful by Lukes time. They were defeated by forces led by Revan. So unless it's set in the time of the OR, it's dancing past canon? It's about a single mando so it could still fit. But I'll have to wait and see. With their track record, I'm skeptical. I don’t hate him, I believe you’re right that it’s not a good reason to hate someone, but Star Wars fans are passionate. They care about their universe, albeit a little too much maybe. I grew up in the 90s but lived off of and love Star Wars. I actually believed my dad had been on the millennium falcon as a kid lol. Star Wars is real in my family. I was disappointed with the movie, it’s hard because the originals were so good and all we’ve got is constant let downs since! (I liked the prequels when I was younger, still enjoy them from time to time, but let’s be honest, they were rubbish in comparison to the OT). All we want is to explore this universe in a way that’s not exactly the same as the OT but gives off the same heart, the same vibes, and not filled with plot holes and stupid decisions. I admit it’s hard to step up to that plate, I certainly couldn’t do it, I’m not even sure if we’ll ever be satisfied because of how magical the OT is, but I still have hope that we will get another Star Wars movie worthy of the originals. I'd settle for not horrible. And I didn't mind the prequels. Sure there were some issues but revenge of the sith is my second favorite star wars movie. 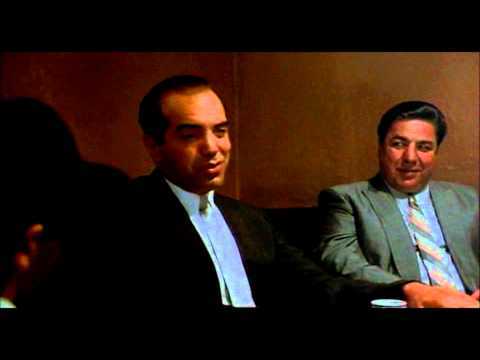 This is a clip from "A Bronx tale". The part about Mickey Mantle sums up my feelings about RJ. To me Star Wars is a little like The Beatles. Most of it is generally good. A few question marks here and there, but all of that tends to be overshadowed by the REALLY good stuff. Most people will accept that there are a few that are absolutely the best (Revolver, White Album, Abbey Road) and die hard fans will fight to the death to justify why one is better than the other. But then you have some people that are really into Please Please Me just because that's what they heard first or what spoke to them most when they were first introduced. Others still think Ringo Starr and his All Starr band is the pinnacle of Beatles music. Ultimately it comes down to a personal preference. Most people won't change the station if a Beatles song comes on, and even if they made a few albums you weren't a fan of, you'd probably still check out the next one because it's generally good music. Personally, I wasn't a huge fan of TLJ, but I can wade through the less enjoyable stuff for all of the Rey/Kylo interactions. Kylo Ren was my favorite character in that movie and I'm really looking forward to how they reconcile in episode IX. You have hit on it, perhaps without intending to, but still. The Beatles always stayed true to a style. Yes they tried different things, but they must have done, or fall by the wayside. But they never stomped on past success and those that got them there. "The Road ahead is shorter than the road behind". They knew where they came from, Quarrymen to Beatles. They held on to all they had realized and experienced. And we their fans where in it for the long run. On a related note, you know you're getting old, when a younger person insists the only band Paul McCartney was in was WINGS.. But thankfully you don't here "Who?" much when you mention the Beatles. RIP John, and George. Thanks for an incredible ride. So Rian Johnson is starwars' Yoko Ono? Hates a strong word fella. I cant say that about the guy I dont know him. But you dont play around with such a big franchise. Its like the surgeon who was branding his initials on transplant patients organs. He wanted to be different and make his mark on the surgery field. Rian Johnson didn’t “ruin Star Wars.” He just made a Star Wars film that wasn’t very good. That doesn't make any sense. Ofcourse you can hate someone for the opinions he holds, especially if he acts on those opinions. It's not like he's just a guy you've met in a bar who happens to think differently about the sw universe than you do. Any sane persone would just agree to disagree if that was the case. The saddest part of all this is, if SW 9 is not a financial success, they already have a plan of action. Blame the "Toxic" Fans. blame the bots, blame this blame that. They will not point the finger where it belongs, back at themselves (Igers weak apology was wasted. He started out addressing the reasons then fell back on the rhetoric that have been spouting. Like we wouldn't see it for what it was. Insulting to say the least).. They gave a relative newcomer to directing free reign. Then blamed the fans for his choices. Fine, sobeit. I am waiting to see if all those complaining put their money back in their wallets. With 2 SW themed parks opening and opened, they better hope they do well. If not, regardless of the public rhetoric they recite, privately they will know what happened and whom to blame.